This short book is a gem. 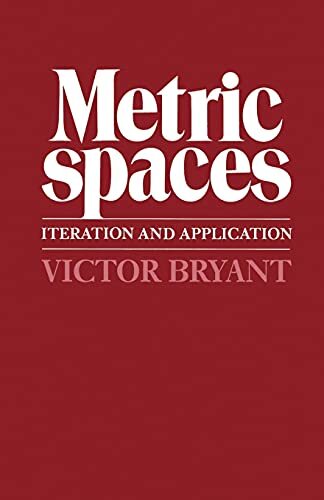 Metric Spaces is an especiallywell-written introduction to analysis. I liked the author's informalconversational approach to a rather abstract topic. 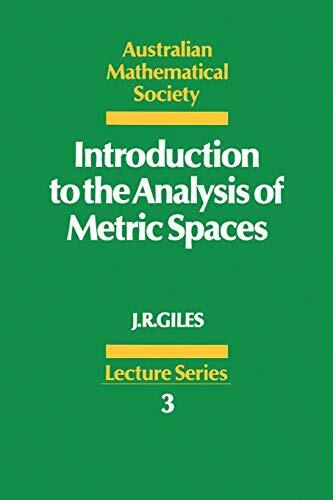 Although I did find it necessary to reread substantial sections for full understanding, I found Metric Spaces to be quite enjoyable. Dr. Bryant motivates the reader immediately with a look at iterative techniques, fixed point functions, converging sequences, and approximation solutions - all in an engaging style. Later topics included distance concepts, function spaces, and the relationship between closed sets, complete sets, and compact sets. The fourth chapter was devoted to the contraction mapping principle and its use in solving differential equations. Is this book for you? The author says: "The only prerequisite is to have done a course on elementary analysis: it is not a prerequisite to have understood it nor to have remembered it at all." I personally had no formal courses in real or functional analysis and the highly structured axiomatic approach of analysis texts had never appealed to me. I only had a vague idea as to the properties of a metric space. But I was lured into buying Dr. Bryant's short text by the previous Amazon reviewers. And thankfully so. Problems are embedded in the text, one or two at a time, and are used to reinforce points under discussion. Most have clear hints and I found many problems straightforward, but others were more difficult. A few problems were identified as appropriate for the "keen" student. The most abstract mathematics are reserved for the last (optional) chapter, but the author does encourage the reader to stay with it: "It would be a pity to stop ..." Chapter five recasts the first four chapters into a more generalized form of real analysis and addresses the question: "What makes analysis work?" Dr. Bryant had an unusual goal for a mathematics text. "I have tried to provide a readable and natural introduction to an abstract subject in a down-to-earth manner." Also, he says, "My aim is to provide a book which can be read and enjoyed ..." He succeeded in doing just that. A short but excellent book for someone who wants a well motivated refresher on analysis. 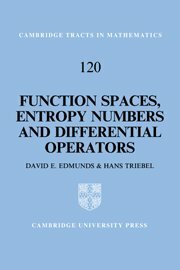 By grounding the ideas with applications of fixed point theorems (such as proving the existence of unique solutions to certain types of differential equations) the author makes accessible an area of mathematics that is often treated in an axiomatic and uninteresting way. I believe the author is correct when he recommends the book for people who have already had some exposure to analysis. 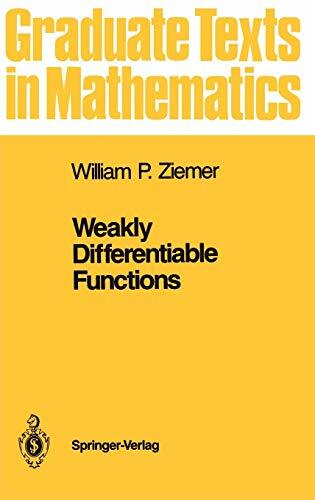 At best a student should already have completed the standard non-rigorous college calculus sequence to get the most out of this book. This is a great introduction to fixed-point methods. 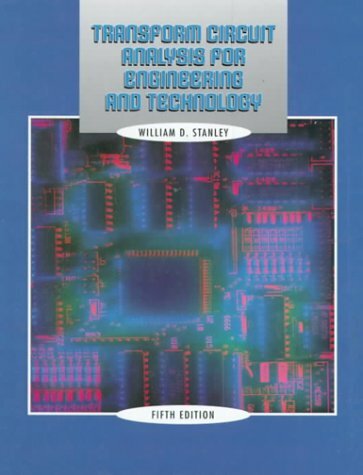 This book is good to any control engineer who wants to know the background theory of optimization and robust control, but read read an analysis book first. 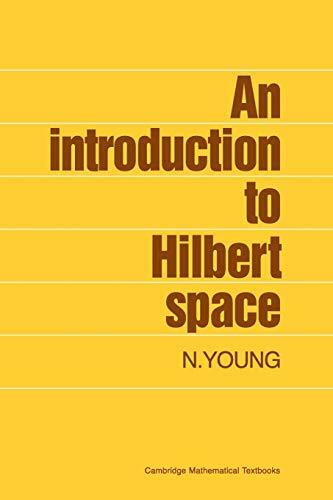 Young has done an admirable job at presenting some really beautiful and useful aspects of Hilbert spaces in a manner comprehendable for advanced undergraduates. After reading the book and reflecting on the experience, I'm somewhat amazed at the amount of nice ideas that were presented in such a compact text. 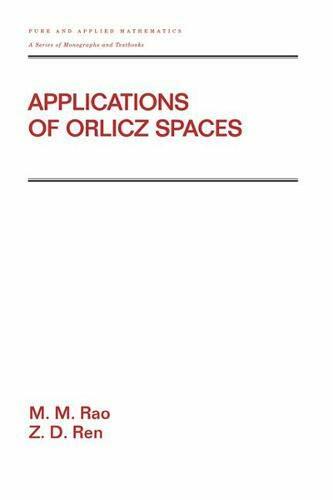 The book cannot be compared with more rigorous and comprehensive texts such as Rudin, but you still get all the fundamentals of Hilbert space plus some wonderful applications. I must strongly disagree with the reader from Sao Paolo who says that chapters 12 and 13 are poorly motivated. These chapters are crucial for the final theorem of the book in chapter 16. Parrott's Theorem in chapter 12 is the key to the foundational Nehari's theorem of chapter 15. Chapter 13 explores Hardy spaces which are the setting place for the major theorem of Adamyan, Arov, and Krein in chapter 16. In fact, I found the movement of ideas from chapter 12 to chapter 16 to be marvelously compelling. These chapters have extreme importance for theoretically oriented control engineers. Only a modicum of real and complex analysis is necessary to understand the book. Knowledge of measure theory is not required. 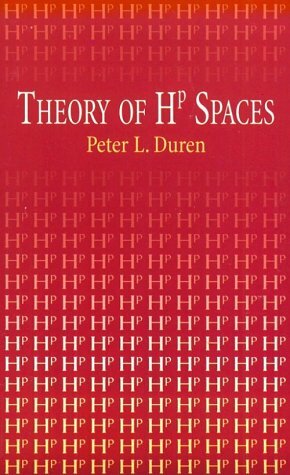 An unusually readable book on Hilbert space. Very clean notation and very detailed proofs. There are also numerous diagrams. There are also answers to selected problems, but no detailed solutions. 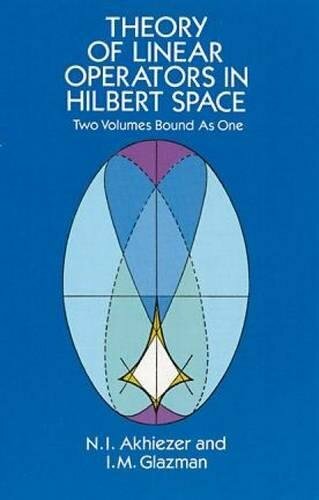 If you own one book on Hilbert space, or even functional analysis, this should be it. The author takes great pains to illustrate the ideas involved, not just pound out the theorems. 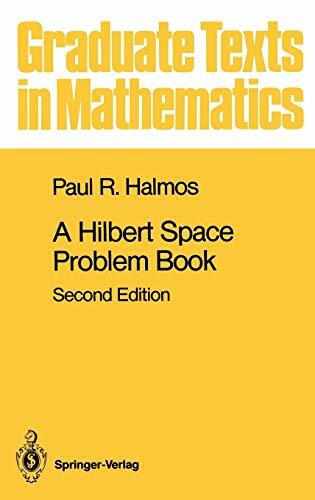 This book should have been titled "A Hilbert Space Idea/Problem Book" as it not only challenges the reader to work out interesting problems in operator theory and the geometry of Hilbert space, but also motivates the essential ideas behind these fields. 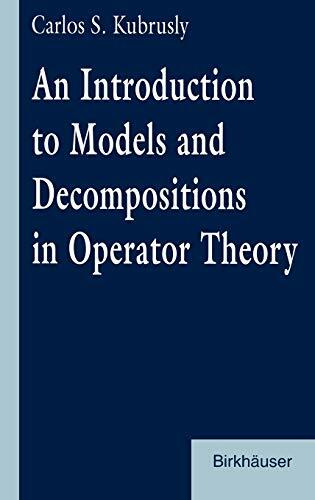 It is definitely a book that, even though out-of-print, will be referred to by many newcomers to operator theory and quantum physics. 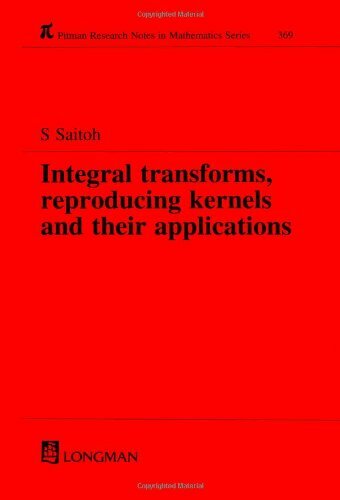 The insight one gains by the reading of this book is unequaled in any other books in existence on operator theory. It is becoming more rare as mathematics advances, to find books that attempt to explain the intuition behind the abstractions that are manifested in any area of mathematics. The problems in the book deal with both concrete examples and general theorems, and the reader should attempt to try and solve them without looking at the hints. The solutions found by the reader can then be compared with the author's, and some interesting differences will occur. There are so many interesting discussions in this book that to list them all would probably entail listing everything in the book. The reader will find excellent discussions of the origin of normal operators on infinite dimensional Hilbert spaces as analogs to matrices on finite dimensional spaces; why the weak topology in infinite dimensions is not metrizable; the non-emptiness of the spectrum and why the spectral radius can be computed even though the spectrum cannot; the impossibility of isolated singular operators; the non-continuity of the spectrum: the existence of an operator with a large spectrum and the existence of operators with small spectra in every neighborhood of the large spectrum. The author then goes on to show that the spectrum is an upper semicontinuous function, thus preventing the existence of small spectra arbitrarily close to large spectra. This is an excellent discussion on the meaning and intuition behind semicontinuity; the result that every normal operator is unitarily equivalent to a multiplication and its equivalance to the spectral theorem. The author goes on to explain how one gives up the sigma-finiteness of the measure when doing this, and the origin of functional calculus; the difference between infinite and finite dimensions when attempting a polar decomposition for operators and its connection with partial isometries; the origin of compact operators and their connection with integral equations. The author shows how even the identity operator is not an integral operator on the space of square-integrable functions with Lebesgue measure. Meticulous, precise account of the theory of finite elasticity covers the application of the theory to the solution of boundary-value problems, and to the analysis of the mechanical properties of solid materials capable of large elastic deformations. Setting is purely isothermal. Widely regarded as a classic in the field. Problems. References. Appendixes. 544p. It is easy to see why other reviewers do not like this book: it is very advanced. It is not for an undergraduate, and probably not for a graduate student unless she or he is already very familiar with elasticity and solid mechanics. It is not, at bottom, a text for learning the rudiments of the theory of elasticity: it is more on the level of a research monograph, and Malvern or Fung are better choices for many students. However, Ogden is probably the best work available (other than perhaps Truesdell, who can be an acquired taste) on the rigourous theory of non-linear elasticity. If you have an interest in the structure of constitutive relations, need a rigourous mathematical reference for finite element modeling, or are interested in exploring the assumptions and limitations of the linearised theory of elasticity, Ogden is not just the best place to start, but possibly the only place to go. If you can't teach it, you don't understand it. This is a horribly written book. Instead of teaching non-linear elasticity to the reader, Ogden hides behind jargon and notation. Perhaps if you know finite elasticity very well, it would serve as a good reference. If you are interested in learning continuum mechanics, I recommend starting with Introduction to the Mechanics of a Continuous Medium, by L. E. Malvern. Then continue with Nonlinear Solid Mechanics: A Continuum Approach for Engineers, by G. A. Holzapfel. 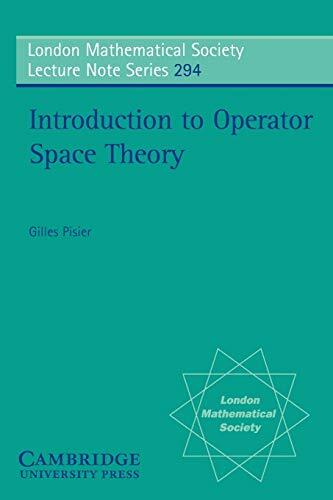 This classic textbook by two mathematicians from the U.S.S.R.’s prestigious Kharkov Mathematics Institute introduces linear operators in Hilbert space, and presents in detail the geometry of Hilbert space and the spectral theory of unitary and self-adjoint operators. It is directed to students at graduate and advanced undergraduate levels, but because of the exceptional clarity of its theoretical presentation and the inclusion of results obtained by Soviet mathematicians, it should prove invaluable for every mathematician and physicist. 1961, 1963 edition. boundary conditions, and when n = m, and the boundary conditions are assigned, the symmetric operator in question has selfadjoint extensions. And we know from von Neumann what they are. A central question in the book concerns the issue of unequal indices. Then selfadjoint extensions do not exist, at least not unless the Hilbert space is enlarged. A central theme in the book is that in case of unequal indices, there is a larger Hilbert space which does in fact admit selfadjoint extensions. The co-authors, along with Naimark, are the authorities on this. Because of applications to PDE theory and to physics, there has been constant interest in the theme right up to the present. Even the current interest, and lively activity, in quantum measurement theory (in connection with quantum information theory) and entanglement brings back to to the fore this old issue around diagonalizing operators by passing to an "enlarged" (or dilated)Hilbert space, or looking for an orthonormal basis in the extended Hilbert space. So the theme of the book is still current. Such an easy book to read! 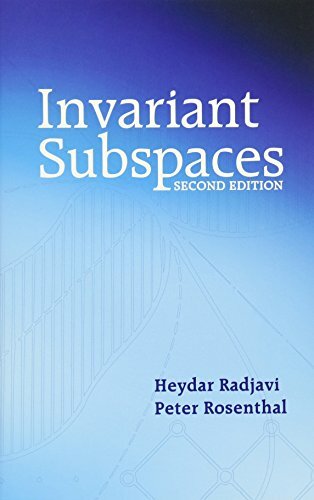 This broad survey spans a wealth of studies on invariant subspaces, focusing on operators on separable Hilbert space. Largely self-contained, it requires only a working knowledge of measure theory, complex analysis, and elementary functional analysis. 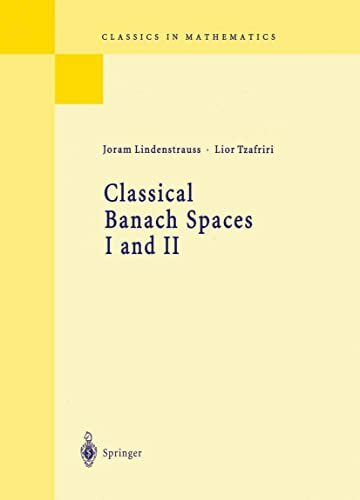 Subjects include normal operators, analytic functions of operators, shift operators, examples of invariant subspace lattices, compact operators, and the existence of invariant and hyperinvariant subspaces. 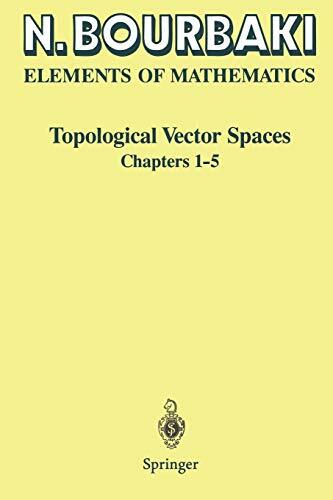 Additional chapters cover certain results on von Neumann algebras, transitive operator algebras, algebras associated with invariant subspaces, and a selection of unsolved problems. 1973 ed. New appendix on recent developments. 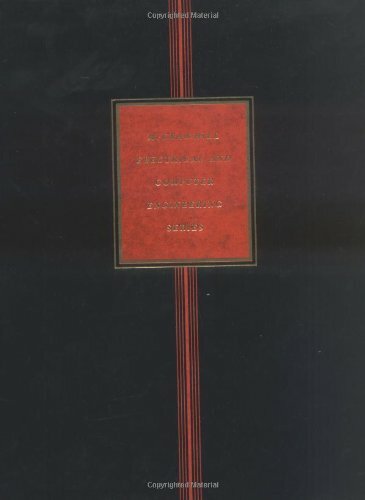 A blend of classical and modern techniques and viewpoints, this text examines harmonic and subharmonic functions, the basic structure of Hp functions, applications, conjugate functions, and mean growth and smoothness. Other subjects include Taylor coefficients, Hp as a linear space, interpolation theory, the corona theorem, and more. Information on Rademacher functions and maximal theorems appears in the appendixes. Essentially self-contained, with a list of exercises in each chapter, this text is appropriate for researchers or second- or third-year graduate students.1970 ed. This book is cleary written. 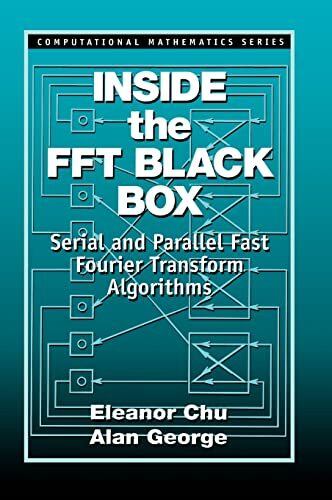 The basic theory of Fourier transform is included too. Fourier optics is a very strong tool in imaging and optics. I would say Goodman is an enginnering guy, but some physical insight is not very clear. Diffraction theory is easier to understand than J.D. Jackson's E&M. And the whole book is easier to read than Born and Wolf's Principle of Optics and has more details. After all, it is a good book for Fourier opitcs. But the price is too high. Joseph Goodman has done a stellar job of clearly presenting concepts AND mathematical background. There is an excellent mix of straightforward theory and practical uses of Fourier Optics. The chapter problems are very challenging but insightful. This is the best optics book I have ever read. This book gives a nice introduction to the mathematical formalism behind quantum physics and the logic of measurement. The first chapter gives an introduction to measure theory with emphasis on probabilities of measurement outcomes. The author is careful to point out that the calculation of the Lebesgue integral presents more difficulties than in the Riemann integral case, since the fundamental theorem of calculus does not apply to Lebesgue integrals. 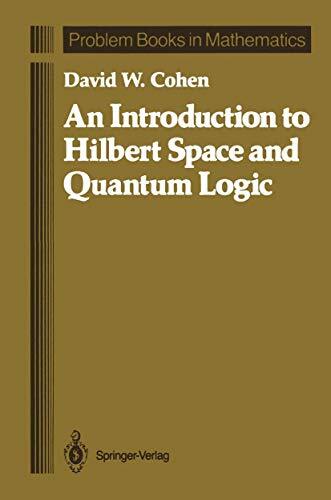 This is followed by an elementary introduction to Hilbert space in Chapter 2. This is standard material and most of the proofs of the main results are omitted and left to the reader as projects. Chapter 3 is more controversial, and attempts to formulate a logic of experimentation for "non-classical" systems. This is done by use of what the author calls a "manual", which is viewed as an abstraction of the experimenters knowledge about a physical system. A manual is a collection of experiments, and an "event" is a subset of an experiment. Orthogonality of events is defined, along with the notion of a collection of events being "compatible", meaning that there is an experiment that contains all of these events. A manual is called "classical" if every pair of events is compatible. The author then exhibits systems that are not classical via the double-slit and Stern-Gerlach experiments. A logic of events is then developed in the next section, where quantum logic is defined explicitly. The author defines a pure state that is not dispersion-free as a state of ontological uncertainty as opposed to "epistemic" uncertainty. Quantum systems have states that are ontologically uncertain according to the author. The author chooses not to engage in the debate about the actual existence of these states and, accordingly, no real-world experiments are given to illustrate the relevance of the concepts and definitions. The next chapter covers the geometry of infinite-dimensional Hilbert spaces. The structure of the collection of these subspaces is defined in terms of the quantum logic defined earlier. This is followed by a discussion of maps on Hilbert spaces, as preparation for defining observables in quantum systems. The important Riesz representation theorem is stated but the proof left to the reader. Projection operators are defined also with the eventual goal of relating them to the compatibility of two propositions. Gleason's theorem is discussed in Chapter 6, along with a discussion of the geometry of state space. The proof of Gleason's theorem is omitted, the author emphasizing its difficulty. The proof in the literature is non-constructive and thus the theorem is suspect according to some schools of thought. The spectral theorem, so important in quantum physics, is discussed in the next chapter. Once again the proofs are left to the reader for most of the results. The spectral theorem allows the author to define another notion of compatibility in terms of the commutativity of two Hermitian operators. The books ends with a overview of the EPR dilemna and is naturally more controversial than the rest of the book. This topic has provoked much philosophical debate, and the author gives the reader a small taste of this in this chapter.